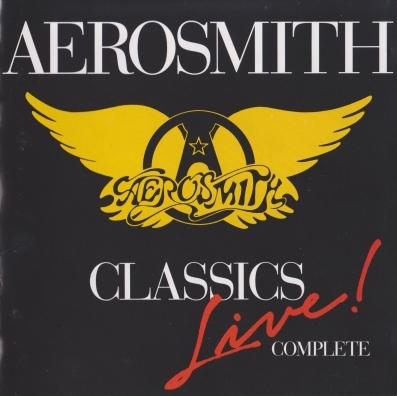 Aerosmith » Music lossless (flac, ape, wav). Music archive LOSSLESS. Music lossless download. Label: Geffen Records. Made in EU. Aerosmith - это космический вихрь энергии и позитива, это сотни красивейших легендарных баллад и умопомрачительных мощнейших «боевиков», ставших лейтмотивами жизни не одного поколения землян. Label: Sony Music. Made in JP. 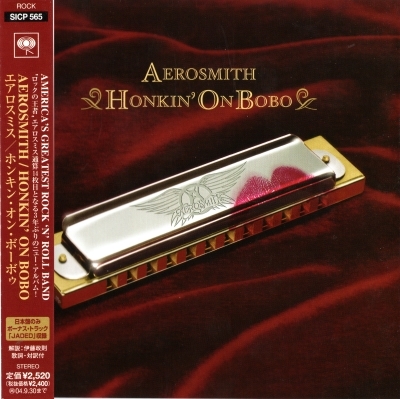 Honkin' on Bobo is the 14th studio album by American rock band Aerosmith, released on March 30, 2004 by Columbia Records. The album includes 11 covers and one original track titled "The Grind". The sound reflects Aerosmith's blues-based influences and showcases a rawer sound (reminiscent of their 1970s heyday) compared to their recent commercial efforts and was also produced by Jack Douglas, who was Aerosmith's producer on a vast majority of their 1970s' output. The album sold over 160,000 copies in its first week, reaching #5 on the Billboard 200. Honkin' on Bobo was certified gold by the Recording Industry Association of America on May 11, 2004. 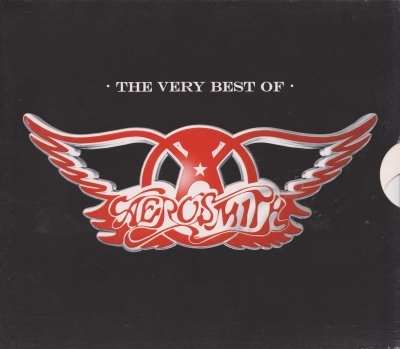 Aerosmith is the eponymous debut album by American rock band Aerosmith, released in January 1973 by Columbia Records. The song "Walkin' the Dog" is a cover song originally performed by Rufus Thomas. Also the single "Dream On" became an American top ten single when re-released in 1976. "Dream On" was first released as a single in 1973. The album peaked at #21 on the Billboard 200 in 1976. Label: Sony Records. Made in JP. 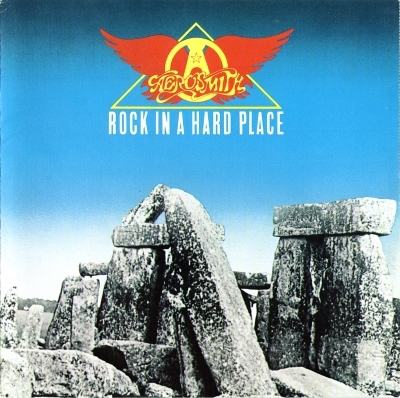 Rock in a Hard Place is the seventh studio album by American hard rock band Aerosmith, released on August 1, 1982, on Columbia. 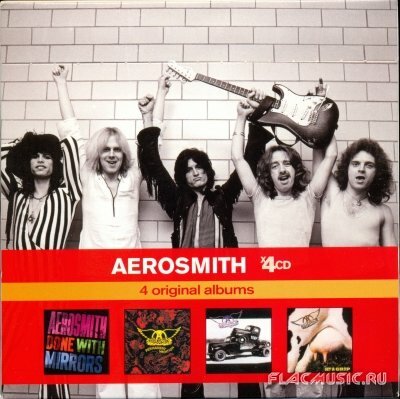 It is the only Aerosmith album not to feature lead guitarist Joe Perry, following his departure from the band in 1979. 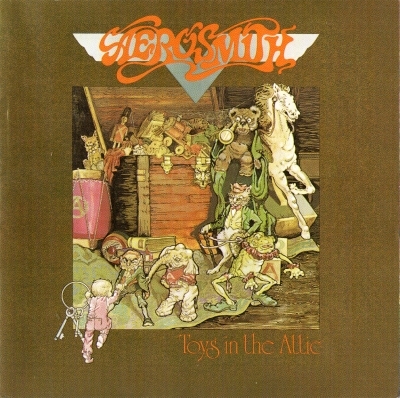 Toys in the Attic is the third album by American rock band Aerosmith, released in April 1975 by Columbia Records. Its first single release, "Sweet Emotion", was released a month later on May 19 and "Walk This Way" was later released on August 28 in the same year. The album is their most commercially successful studio LP in the US, with eight million copies sold, according to the RIAA. Label: Sony Music, Columbia. Made in AT. Label: DOT RECORDS. Made in EU. 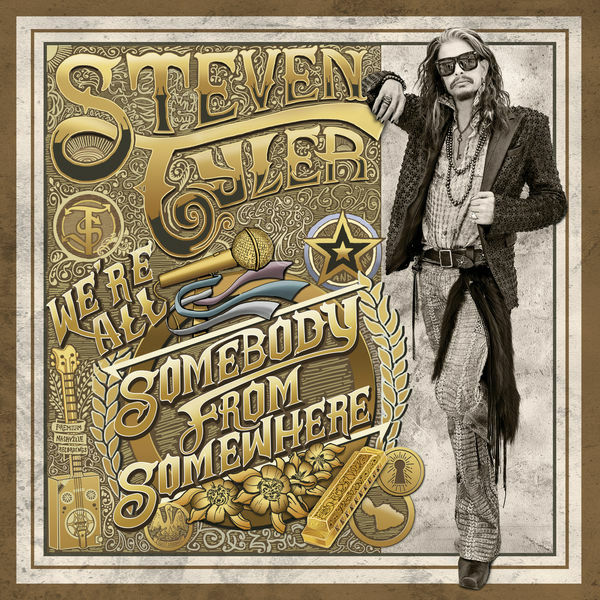 We're All Somebody from Somewhere is the debut solo studio album by American singer-songwriter Steven Tyler. The album was released on July 15, 2016, by Dot Records. We're All Somebody from Somewhere received generally mixed reviews from music critics. At Metacritic, which assigns a normalized rating out of 100 to reviews from mainstream critics, the album received an average score of 62 based on 12 reviews, which indicates "generally favorable reviews". Label: Geffen Records. Made in US. 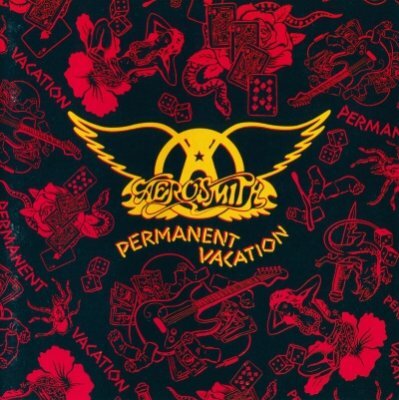 Permanent Vacation is the ninth studio album by American rock band Aerosmith, released in August 1987 by Geffen Records. The album marks a turning point in the band's career. It is their first album to employ professional songwriters, instead of featuring material solely composed by members of the band. This came as a suggestion of executive John Kalodner, who also pushed the band to work with producer Bruce Fairbairn, who remained with them for another two albums. 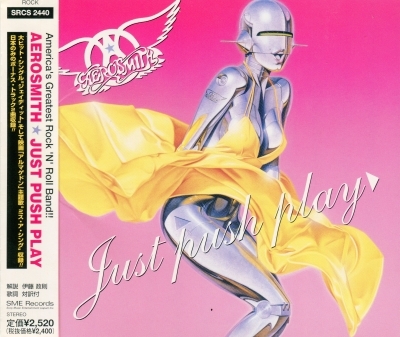 It was also the first Aerosmith album to be promoted by heavy music video airplay on MTV. 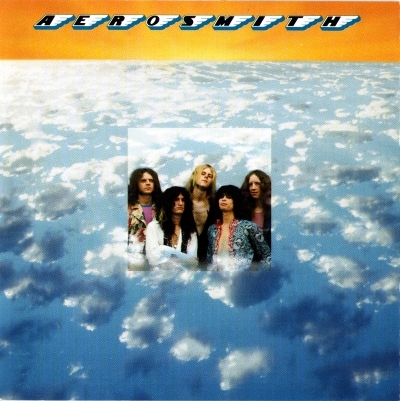 Though Done with Mirrors was intended to mark Aerosmith's comeback, Permanent Vacation is often considered their true comeback album, as it was the band's first truly popular album since their reunion. "Rag Doll", "Dude (Looks Like a Lady)", and "Angel" all became major hit singles (all three songs charted in the Top 20) and helped Permanent Vacation become the band's most successful album in a decade. Label: SME Records. Made in JP. Just Push Play - тринадцатый студийный альбом американской рок-группы Aerosmith, выпущенный 6 марта 2001 года на лейбле Columbia Records. 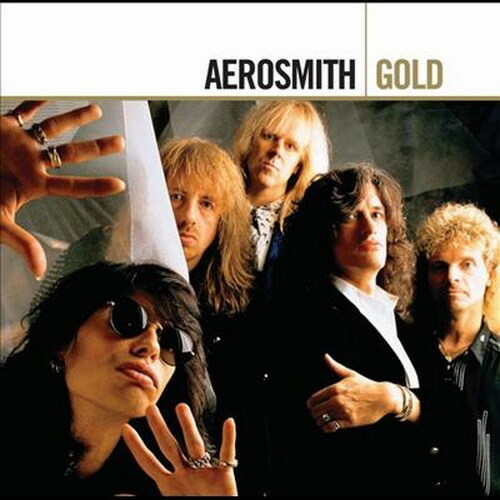 Young Lust: The Aerosmith Anthology was a 2001 compilation album by American hard rock band Aerosmith. This compilation holds their greatest hits of their Geffen Records years between Done with Mirrors and Get a Grip, as well as some un-released material, B-sides, and live versions. It was reissued in 2005 as Gold, with a different cover. Label: Columbia, Sony Music. Made in US. Label: Geffen Records, Columbia, Sony BMG Music. Made in EU. The 1998 release Classics Live! : Complete pulls together the 16 tracks released on the 1986 album Classics Live! and its 1987 sequel Classics Live!, Vol. 2 onto one disc. Both albums contain performances cut at the Orpheum Theater in Boston in 1984 -- the first dates from February, the second from December -- which may not be the peak of Aerosmith's popularity, but they're on the verge of the late-'80s comeback and are starting to sound revitalized. For fans, they're worth hearing and this is the best way to hear them, as it contains both albums on one disc.